With the proposal ‘Three Houses and a Long Table’ Ghilardi+Hellsten and Karres en Brands with Dipl.-Ing. 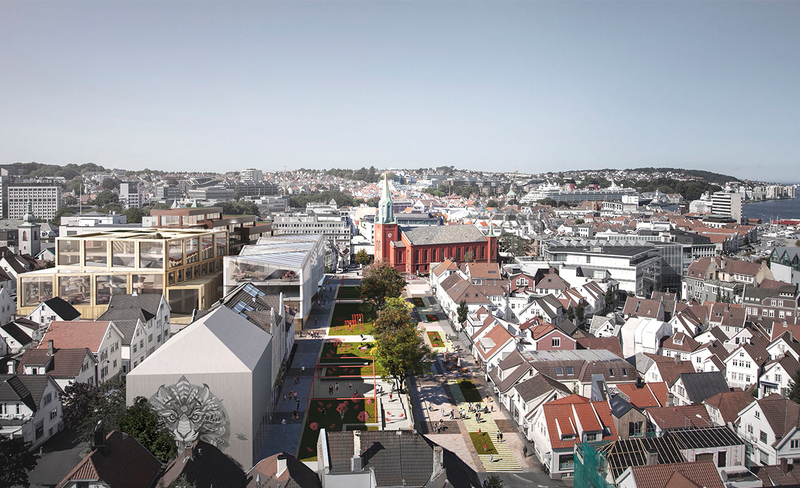 Florian Kosche AS have won the international design competition to transform the historical Nytorget site in Stavanger into a vibrant cultural hub. 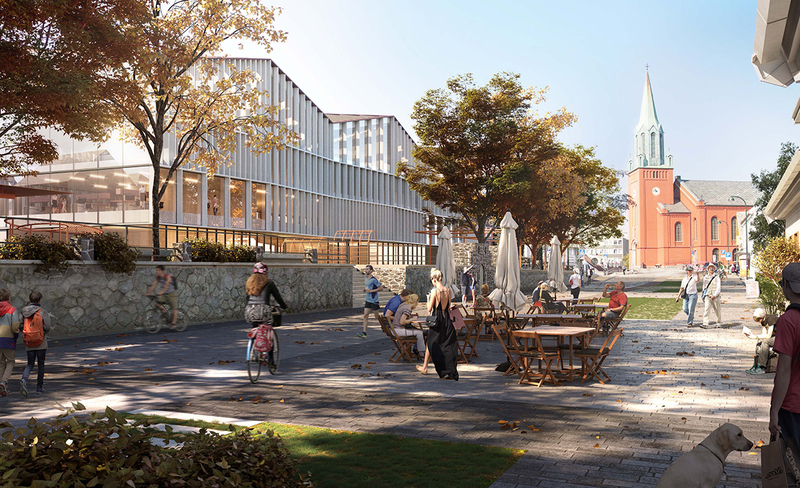 The new city space combines diverse cultural program such as a youth cultural center (Metropolis), art gallery and shops with diverse office program around a multi-functional green city space. 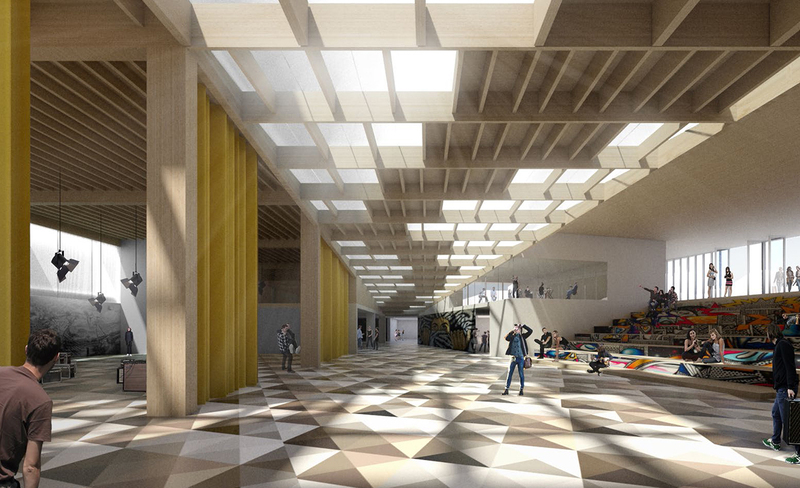 Located between the historical city center and the city’s eastern district, Nytorget currently houses some of the most exciting cultural and art initiatives for the youth of Stavanger, such as Metropolis (a cultural center for the youth). With a convincing proposal Ghilardi+Hellsten and Karres en Brands have built on the unique qualities of the site and put forth a plan anchored in the city fabric and centered around public space. The Long table is a timeless simple intervention with the sole purpose of highlighting the activity on the square. Inspired by the community ritual revolving around the Longtable the proposal puts forth a metaphorical stage for community life. The Longtable is a hackable piece of urban infrastructure articulated by a set of edges and family of playful satellites that organize and activate the space strategically, while leaving room for informality and spontaneity in between. The Longtable is first and foremost a green oasis in the city! 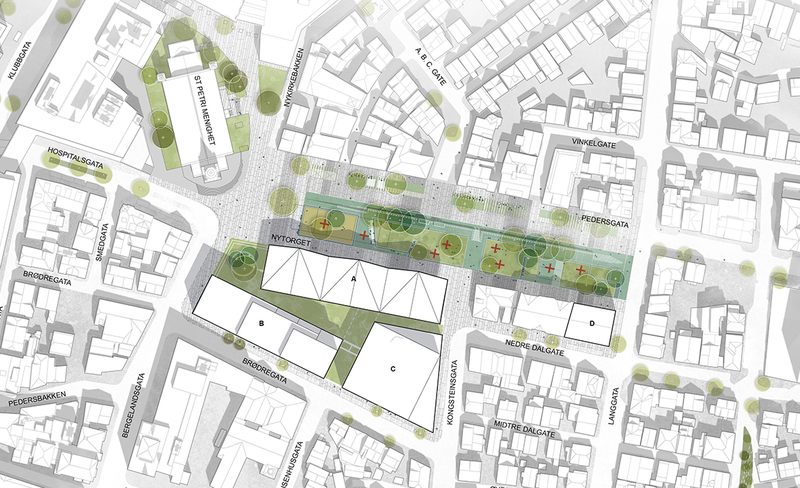 Instead of removing green to make room for activities we set green at the heart of the public space: a park in a square. This new space becomes the most important organizing element of the square, concentrating activity and providing a unique space that changes throughout the day and from season to season. Under the transparent green pergola of the trees, people can find comfort, meet up, and enjoy a break. 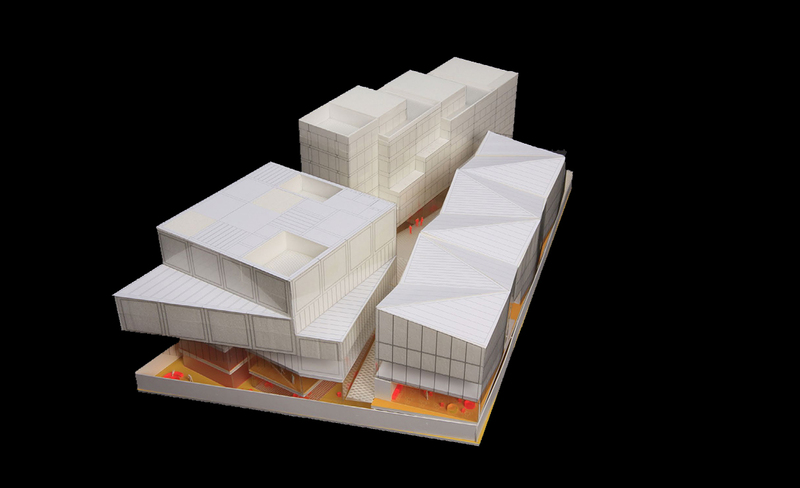 Three Houses is a mixed-use development that combines flexible space for various tenants (office, hotel, culture) interconnected by a multi-functional base that houses the local Youth Culture House (Metropolis). Each of the three houses respond to their context and articulate the streets-cape on all sides while still facilitating pedestrian connectivity trough a intimate inner space with characteristic narrow passages. The first two floors are designed for programmatic mix, with public groundfloors facilitating space for cafes, restaurants, gyms and shops. 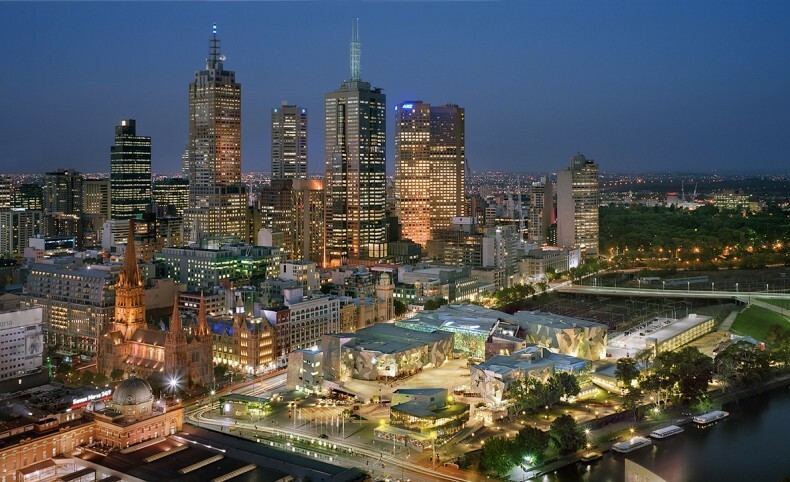 The office buildings are purposefully conceived to be topologically varied and house a greater diversity of businesses. Common to all three buildings is the fact they are built in wood, a local, sustainable material, with unique open floors and spectacular city views.